With Day 1 under our belt, we were ready to take on the second day of the convention. In my past experience, Day 2 or Saturday is usually the busiest day of the convention. Most of the major events occur on the second day and most of the guests have the most majority of their panels, events, Q&As scheduled as well. If there was one regret on the Saturday, it was not having breakfast before heading out to the convention center. My day 2 started off in an interesting fashion with having to help fill in for a friend for an interview. Some ‘delays’ caused him to not be able to make his interview session on time so I filled in for him. I managed to interview Haruka Terui (VA for Yuuki Yuuna) and that will be posted in a separate article in the near future. 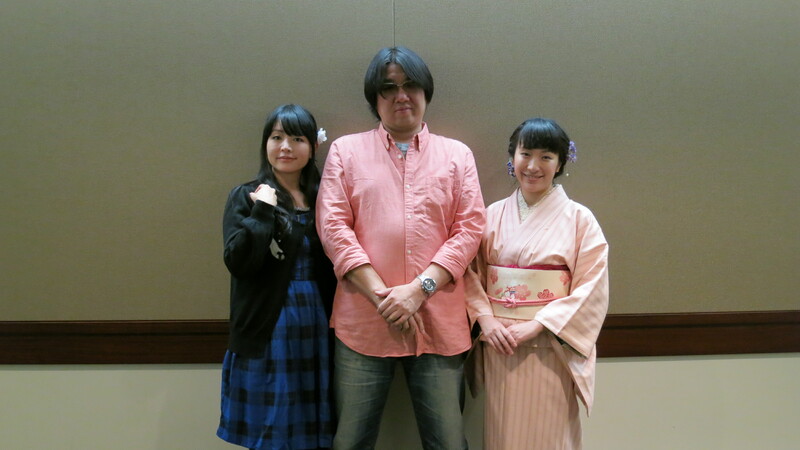 After the interview, I met up with Rekyu and dark_sage who were at the cosplay skit contest. I managed to arrive just in time to watch this skit. 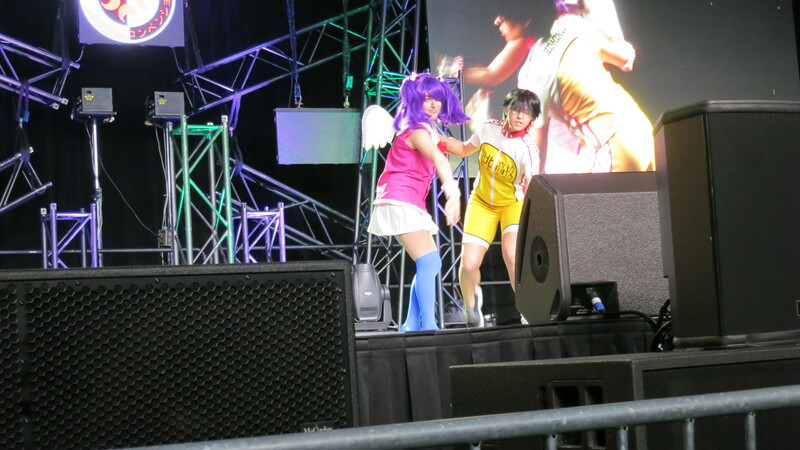 Let’s just say I didn’t understand most of the skits and they were what you would expect from cosplayers acting. There were quite a few skits and some of the choreography was actually quite impressive. Apparently this was the only cosplay photo I took on day 2. With the skit contest finishing up, we headed out to grab some lunch. Someone suggested crepes and we waited in line here for about 45 minutes to an hour to grab some crepes up to the hotel room. 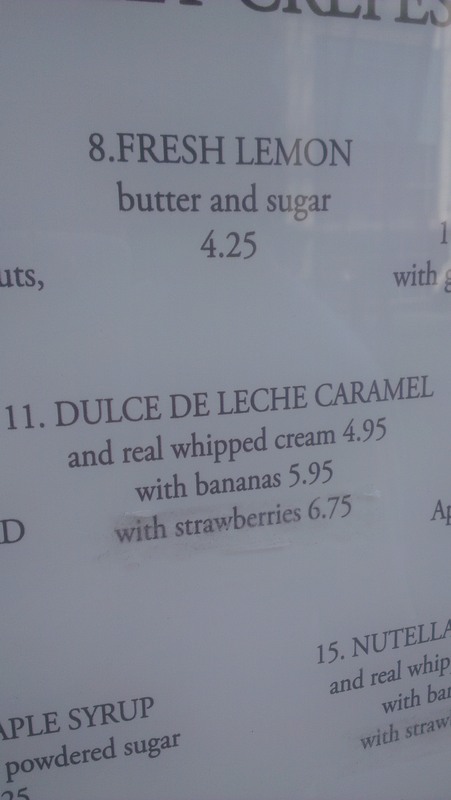 We even bought puddi’s favorite crepe for him. 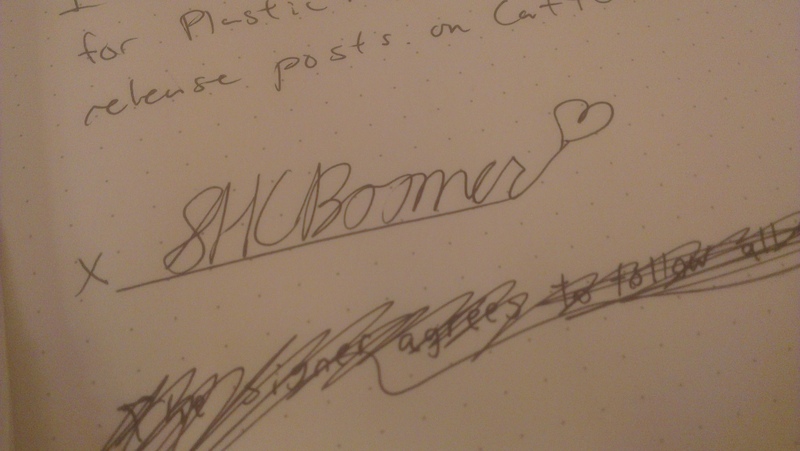 Being that one awkward person in the room that doesn’t speak Japanese provided a good laugh for everyone in the room. The interview went smoothly and we got some good responses for our questions. Most of this interview is still with puddi, so if you want to know what happened, you know who to ask. Heading to the dealer hall was our plan after the Arc Systems interview. I decided to take some photos here since I could get a better shot at this time. The dealer hall was packed on the second day and some of the booths were overloaded with people. 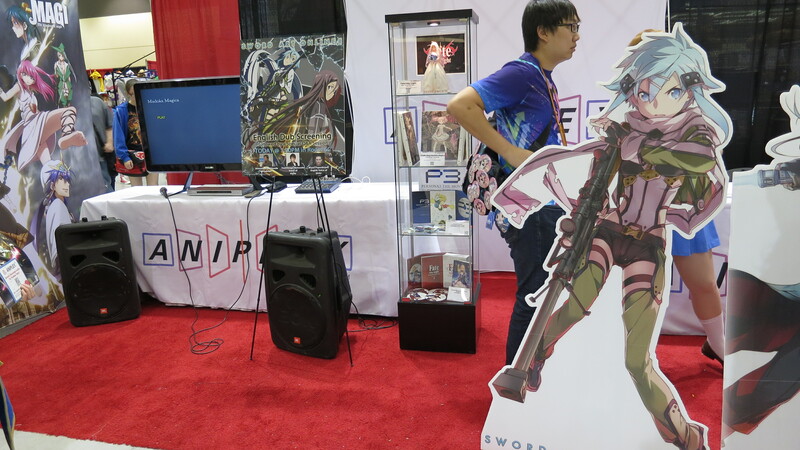 On the bright side, I managed to grab a pretty good shot of the Aniplex booth with the Sinon display. I even got Rekyu to ask if it was for sale, it wasn’t. Obviously, there are some things money can’t buy. 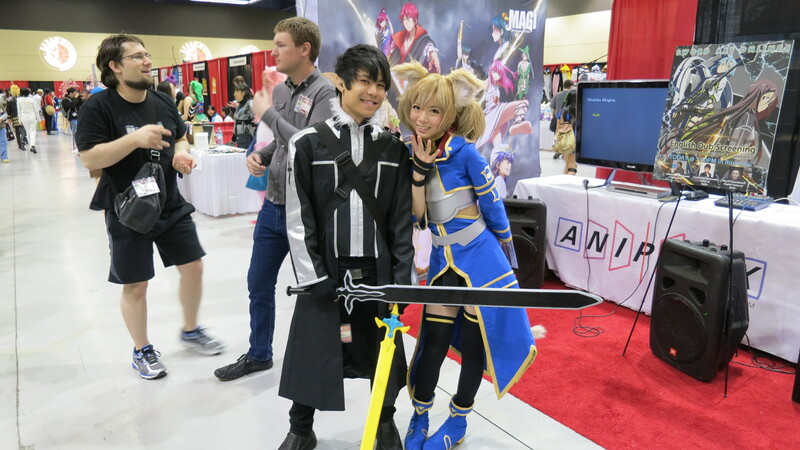 When I was down at the Aniplex booth, I caught sight of two cosplaers that seemed to be working at the booth cosplaying SAO. I asked to grab a picture of them and they gladly posed for a photo. This was probably one of the better cosplay photos I took all weekend. 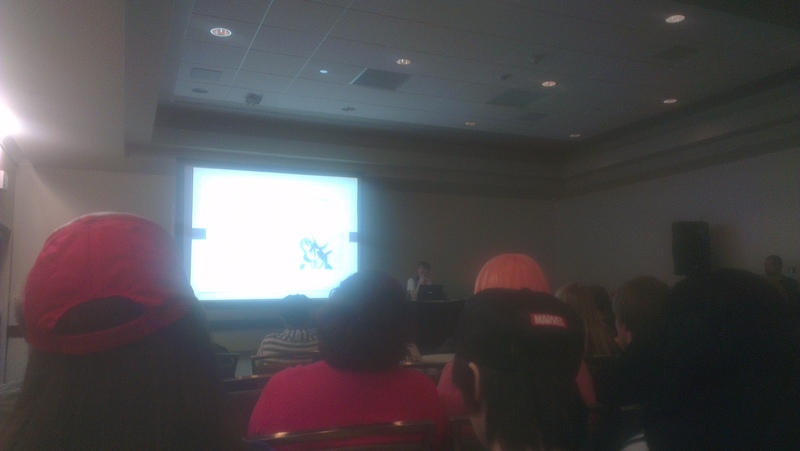 Growing tired of roaming the dealer hall for any goodies, we headed back to the karaoke room to meet up with dark_sage. 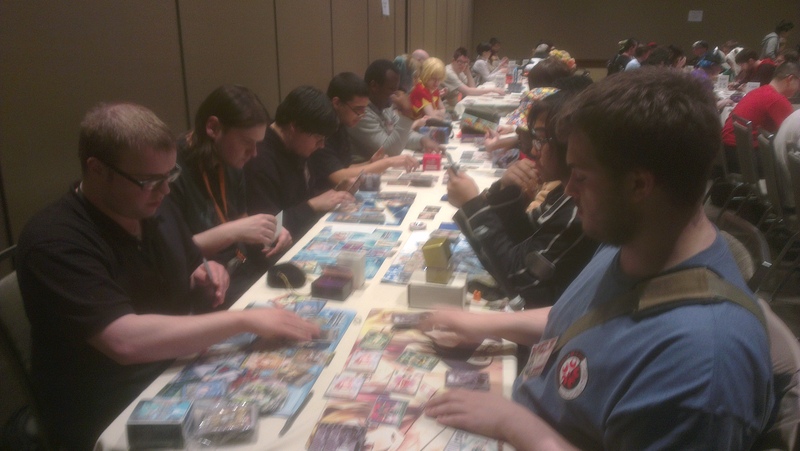 From there we moved up to the games room to play some card/board games similar to Dominion or Tanto Cuore. 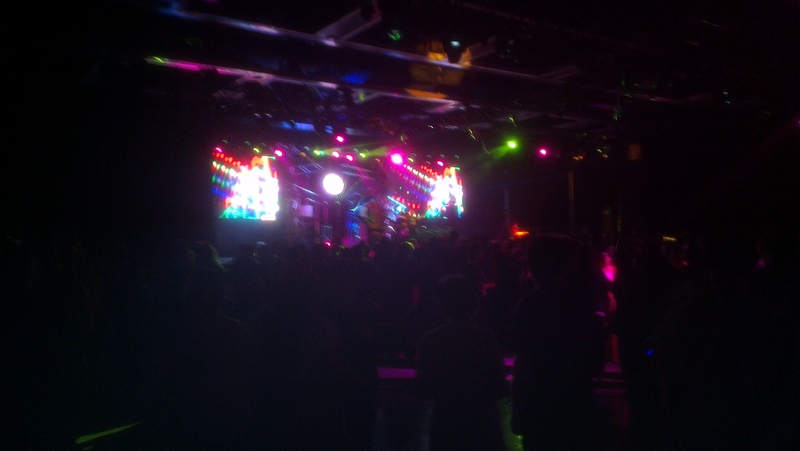 Kanako Ito and GARNiDELiA concert. 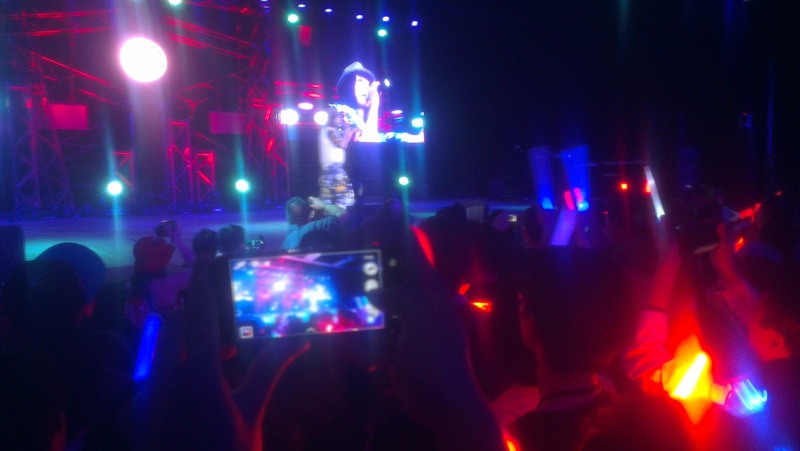 Only press were allowed to take photos of the Kanako Ito portion of the concert. 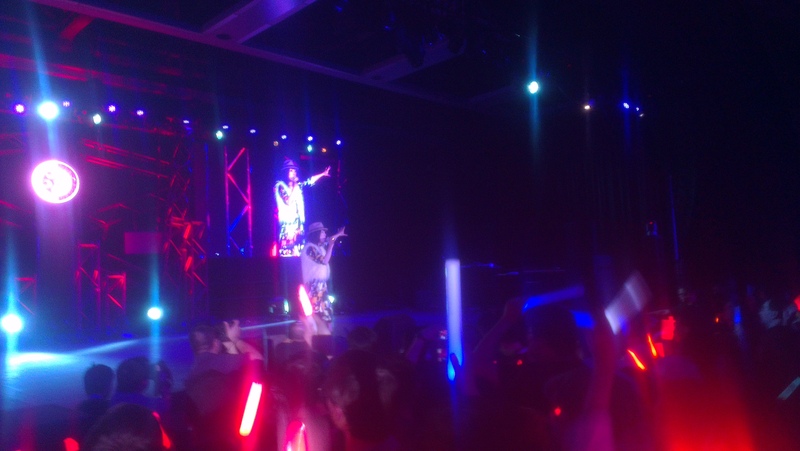 The main event of the night was the combined Kanako Ito and GARNiDELiA concert. We dropped by for the concert early and managed to score some press seating. Who am I kidding? There was no reserved seating to speak of, but we got to get in earlier. The moshpit is what you can see above and it got really stuffy, really quickly. Oh well, people had fun at the concert, so at least there’s that. Having not eaten since the crepes we had in the afternoon, we went back to the hotel to find some food places to eat at. puddi suggested a bunch of random places, but most of them were rejected including a fine dining priced pizza parlor. We ended up calling for Domino’s much to the dismay of puddi. The pizza was edible and it satisfied our hunger for the night. Sometimes it isn’t about the quality of food, but just having some form of food to get by. This is especially true come convention time, chances are you won’t be getting any great food at a convention. Some panel we attended for a short period of time. 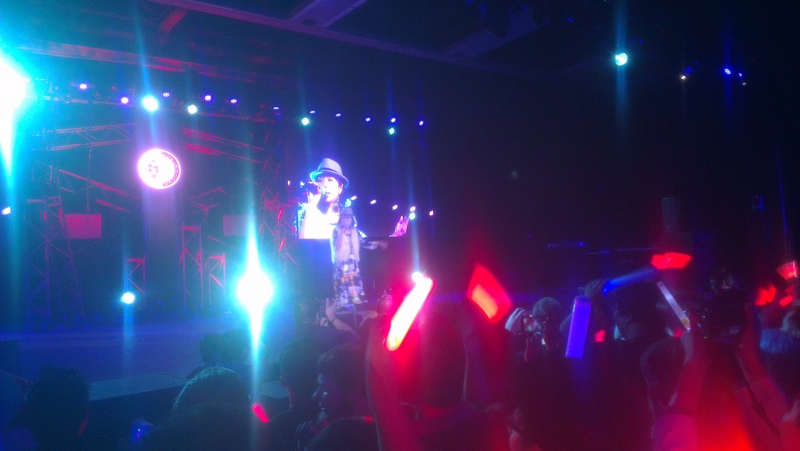 Later in the evening, dark_sage, Rekyu, and I went back to the convention center to listen to more karaoke performances. It didn’t take us long before we went right back to the hotel to prepare for some D_S level walkcon. Let’s just say Rekyu had his fair share before we went back to hit up the con. There were quite a few antics to be had during our walkcon experience. 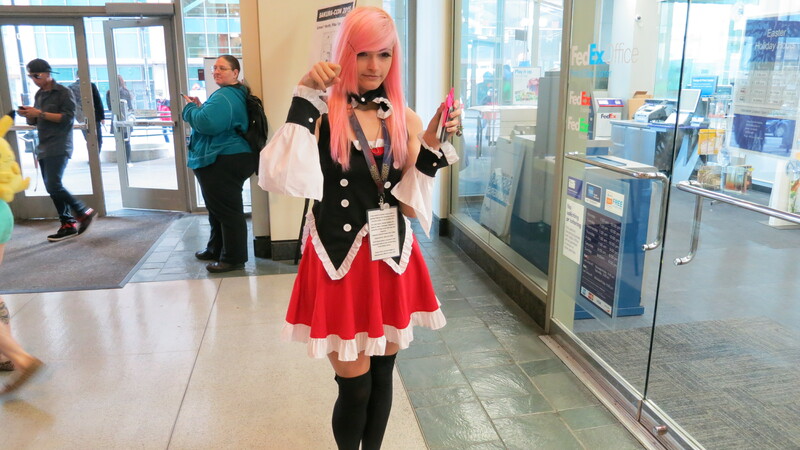 Rekyu offered to help us get photos of cosplayers but none of them really caught my eye. It was a much quieter year than in past years as the number of night events were much lower. Even karaoke wasn’t a 24 hour operation. We dropped by the games room to play some Smash. (Rekyu claims he destroyed us. He probably did.) Some other interesting antics in this time included some rolls in the garden, a lot of great talks, something about kicking people in the face, and some amazing balance tricks. Day 2 was busy as expected and provided a whole lot of fun. The time we spent together was great and we were all pretty tired before heading off for the night. I went back to my room at about 3 or 4 in the morning. It was so early that the people in the lobby said good morning to me thinking I was heading out for the day. After a couple hours of sleep, I was up and at it getting ready for the last day of Sakura-con 2015. 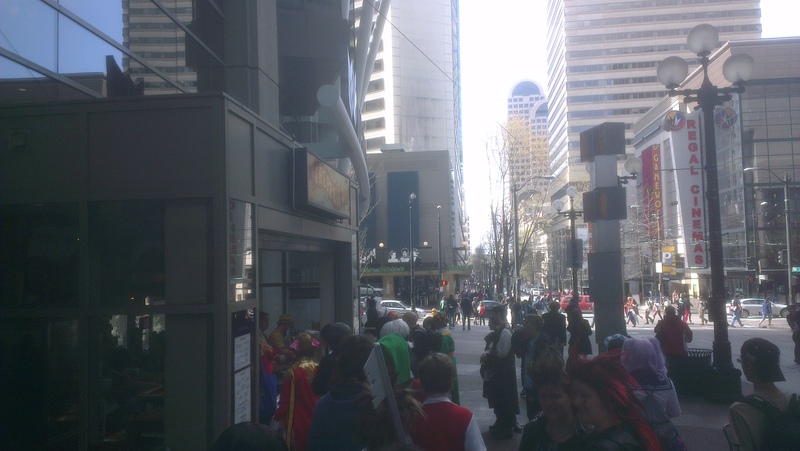 This entry was posted in Anime, Conventions, Visual Novels and tagged Conventions, Day 2, Downtown, Sakura-con, Sakura-con 2015, Seattle, USA, Washington. Bookmark the permalink.